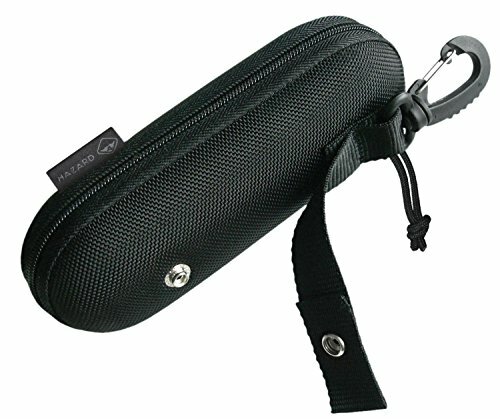 Eye-wear is kept accessible in this thermoformed, modular (molle-compatible) semi-hard carrier. Attach it to pack-straps, vests, belts, etc. The inside fuzzy lining prevents lens scratches. The extra large, extra stiff shape is designed to fit bigger frame glasses in all conditions. Cordura(R) fabric along with rigid strengthening ridges are used for toughness and durability.